(2.1) You are permitted to use our website for your own purposes and to print and download material from this Website provided that you do not modify any content without our consent. Material on this website must not be republished online or offline without our permission. (2.2) The copyright and other intellectual property rights in all material on this Website are owned by us or our licensors and must not be reproduced without our prior consent. (2.3) Subject to paragraph 2.1, no part of this Website may be reproduced without our prior written permission. (3.1) We take all reasonable steps to ensure that this Website is available 24 hours every day, 365 days per year. However, websites do sometimes encounter downtime due to server and, other technical issues. Therefore we will not be liable if this website is unavailable at any time. (3.2) This Website may be temporarily unavailable due to issues such as system failure, maintenance or repair or for reasons beyond our control. (5.1) Any links to third party websites located on this Website are provided for your convenience only. We have not reviewed each third party website and have no responsibility for such third party websites or their content. We do not endorse the third party websites or make representations about them or any material contained in them. If you choose to access a third party website linked to from this Website, it is at your own risk. (5.3) If you choose to link to our website in breach of Paragraph 5.2 you shall fully indemnify us for any loss or damage suffered as a result of your actions. (6.1) We take all reasonable steps to ensure that the information on this Website is correct. However, we do not guarantee the correctness or completeness of material on this Website. We may make changes to the material on this Website at any time and without notice. The material on this Website may be out of date, or on rare occasions incorrect and we make no commitment to ensure that such material is correct or up to date. (6.2) The material at this Website is provided without any conditions or warranties of any kind. To the maximum extent permitted by law, we provide access and use of this website on the basis that we exclude all representations, warranties and conditions which but for these Terms may have effect in relation to this Website. (7.1) Neither we nor any other party (whether or not involved in producing, maintaining or delivering this Website), shall be liable or responsible for any kind of loss or damage that may result to you or a third party as a result of your or their use of our website. This exclusion shall include servicing or repair costs and, without limitation, any other direct, indirect or consequential loss, and whether in tort or contract or otherwise in connection with this Website. (7.2) Nothing in these Terms shall exclude or limit liability for (i) death or personal injury caused by negligence (as defined by the Unfair Contract Terms Act 1977); (ii) fraud; (iii) misrepresentation as to a fundamental matter; or (iv) any liability which cannot be excluded or limited under the law of the United Kingdom. These conditions apply to all sales of goods (“the Goods”) by the seller to any purchaser (“the Buyer”) and shall apply in place of and prevail over any terms or conditions contained or referred to in the Buyer’s order or in correspondence or elsewhere or implied by trade, custom, practice or dealing unless specifically agreed to in writing by a director or other authorised representative of the Seller and any purported provisions to the contrary are hereby excluded or extinguished. (2.1) A quotation by the Seller does not constitute an offer and the Seller reserves the right to withdraw or revise the same at any time prior to the Seller’s acceptance of the Buyer’s order. A quotation by the Seller is valid for a period of one month from the date of the quotation. (2.2) The Seller’s acceptance of the Buyer’s order shall be effective only where such acceptance is made in writing by an authorised representative of the Seller. (2.3) A Buyer’s account that has remained inactive for a minimum of 12 months, will be subject to a new credit search, cost of said search to be added to the first invoice. (3.1) The price of the Goods shall be the price stated in the current price list quotation or when no price has been quoted or a quoted price is no longer valid the price contained in the Seller’s price list therefore current at the time of despatch. The discounts (if any) allowable to the Buyer are those shown on the Seller’s quotation only and unless otherwise expressly agreed in writing no other discounts or commissions are to become due or allowable to the Buyer (notwithstanding any previous course of dealing). The Seller shall have the right at any time before the delivery to withdraw any discount from its normal prices and/or to revise the price of the Goods to take into account increases in costs including (without limitation costs of any goods, materials, carriage, labour or overheads, the increase or imposition of any tax duty or other levy and any variation in exchange rates. (3.2) Except as otherwise stated under the terms of any quotation or any price list of the Seller or unless otherwise agreed in writing between the Buyer and the Seller all prices are given by the Seller on an ex-works basis and where the Seller agrees to deliver the Goods otherwise than at the Seller’s premises, the Buyer shall be liable to pay the Seller’s charges for transport, packaging and insurance. (3.3) Unless otherwise specified the price is exclusive of any applicable Value Added Tax and any other tax or duties payable by the Buyer which the Buyer shall additionally be liable to pay to the Seller. (4.1) Payment of invoices shall unless otherwise agreed in writing be made in full in sterling, without any deduction or set-off not later than 28 days after date of delivery. (4.2) Interest shall be payable by the Buyer on overdue accounts at the rate of 4% over our bankers Natwest base rate to run from the due date for payment thereof until receipt by the Seller of the full amount whether before or after judgement. (4.3) If in the opinion of the Seller the credit worthiness of the Buyer shall have deteriorated prior to delivery the Seller may require full or partial payment of the price prior to delivery of the provision of security for payment by the buyer in a form acceptable to the Seller. to terminate the contract with immediate effect, dispose of the Goods as the Seller may determine and to recover from the Buyer any loss and additional costs incurred as a result of such refusal or failure. (5.2) Unless otherwise expressly agreed the Seller may effect delivery of the Goods in one or more instalments. Where delivery is effected by instalment each instalment shall be treated as a separate contract and failure by the Seller to deliver any one or more instalments in accordance with these conditions or any claim by the Buyer in respect of any one or more instalments shall not entitle the Buyer to treat the contract as a whole as repudiated. (5.3) The Seller operates a strict no returns policy in connection with the goods supplied. The Buyer’s statutory rights remain unaffected. The Goods shall remain the sole and absolute property of the Seller as legal and equitable owner until such time as the Buyer shall have paid to the Seller the agreed price together with the full price of any other Goods paid to the seller the original price (inclusive of any and all interest in accordance with clause 4.2 hereof) the subject of any other contract with the Seller. Until such payment the Buyer shall be in possession of the goods solely as bailee for the Seller and in a fiduciary capacity and shall store the Goods in such a way as to enable them to be identified as the property of the Seller. Subject to the terms hereof the Buyer is licensed by the seller to process the said Goods in such fashion as it may wish and/or incorporate them in or with any other product or products subject to the express condition that the new product or products or any other chattel whatsoever containing any part of the said Goods shall become the sole and exclusive property of the Seller and shall be separately stored and marked so as to be identifiable as being made from or with the Goods the property of the Seller. The Buyer shall be at liberty and may in the ordinary course of its business sell and deliver the Goods or any product produced with the Goods to any third party as Seller’s bailee and in a fiduciary capacity and provided that the entire proceeds of the sale are held in trust for the Seller and are not mingled with any other monies and shall at all times be identifiable as the Seller’s monies. The Buyer agrees immediately upon being so requested by the Seller to assign to the Seller all rights and claims which the Buyer may have against its customers arising from such sales until payment is made in full as aforesaid. The Seller reserves the immediate right of repossession of Goods to which it has retained title as aforesaid and thereafter to re-sell the same and for this purpose the Buyer grants an irrevocable right and licence to the Seller’s servants and agents to enter upon all or any of its premises with or without vehicles during normal business hours. This right shall continue to subsist notwithstanding the termination of the contract for any reason and is without prejudice to any accrued rights of the Seller thereunder or otherwise. While all descriptions and illustrations of the Goods in, inter alia, catalogues, brochures and price lists provided by the Seller have been carefully prepared, they are intended nevertheless for general guidance only and do not form part of the contract for sales of goods and no responsibility is accepted for any errors or omissions therein or for any loss or damage resulting from reliance on such descriptions or illustrations. for shortages in quantity delivered unless the Buyer notifies the Seller of any claim for short delivery within 7 days of the delivery of the Goods. Buyer shall notify the Seller of any such claim within 48 hours of receipt of the Goods or the scheduled date of delivery whichever shall be the earlier followed by a complete claim in writing within seven days of the date of advice of despatch. for defects in the Goods caused by fair wear and tear, abnormal conditions of storage or abnormal working conditions, wilful damage, negligence, failure to follow the Seller’s instructions (whether oral or in writing) misuse or alternation or repair of the Goods without the Seller’s prior written approval. for other defects in the goods unless notified to the Seller within one month of receipt of the Goods by the Buyer or where the defect would not be apparent on reasonable inspection within 12 months of delivery. (8.2) Where liability is accepted by the Seller under paragraph 8.1 the Seller’s only obligation shall be at its option to make good any shortage or non-delivery and/or as appropriate to replace or repair any of the Goods found to be damaged or defective and/or to refund the cost of such Goods to the Buyer. (9.1) If any licence or any consent of any government or other authority shall be required for the acquisition, carriage, or use of the Goods by the Buyer, the Buyer shall obtain the same at its own expense and if necessary produce evidence of the same to the Seller on demand. Failure so to do shall not entitle the Buyer to withhold or delay payment of the price. Any additional expenses or charges incurred by the Seller resulting from such failure shall be for the Buyer’s account. (9.2) Failure by the Seller to exercise or enforce any rights hereunder shall not be deemed to be a waiver of any such rights or operate so as to bar the exercise or enforcement thereof at any time thereafter. (9.3) Any notice hereunder shall be deemed to have been duly given if sent by prepaid first class post, telex, facsimile transmission or telegraph to the party concerned at its last known address. 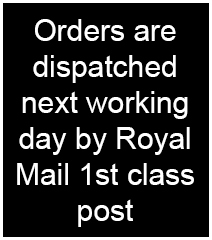 Notices sent by first class post shall be deemed to have been given seven days after despatch and notices sent by telex, facsimile transmission or telegraph shall be deemed to have been given on the date of despatch. (9.4) The contract shall be governed by and construed in accordance with the laws of England the parties hereby submit to the jurisdiction of the English Courts. In your email please state the order number and your contact details so that we may issue the refund. Refunds will not include the cost of returning the item. The item should be returned within the original unopened packaging to the following address Resigap Ltd, Resiblock House, Archers Fields Close, Basildon, Essex SS13 1DW. We ask that the goods be returned within 14 days of receipt. Once you have cancelled the contract, you have a legal “duty of care” to take good care of the goods. You must return the good to us at your expense to the address below.